Saturday from 9am-12pm. Please read the flyer below for more details. 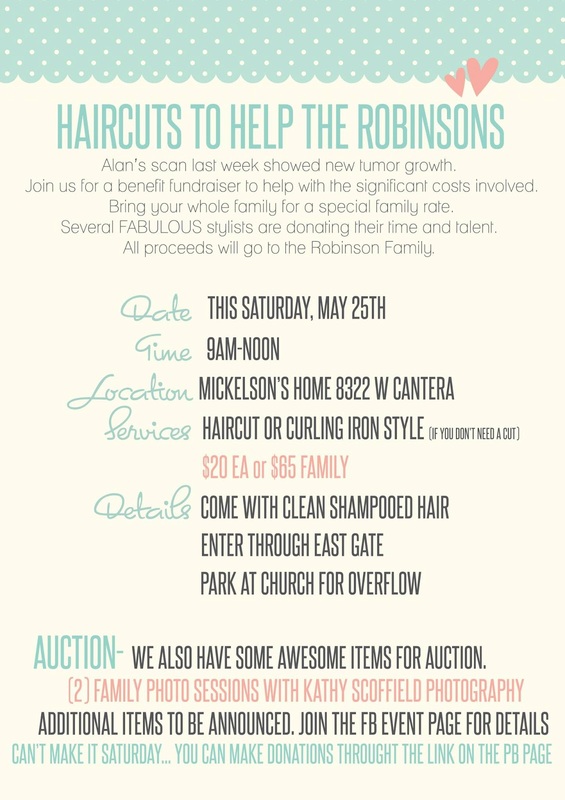 The fundraiser will be "Haircuts to help the Robinsons". All proceeds will go to benefit the Robinson family. There will also be an auction and the amazingly talented Kathy Scoffield from Kathy Scoffield Photography is auctioning off two photo sessions. There will also be many other items up for auction as well. So if you are in the area, please stop by on Saturday. If you are not in town or available to come there is a link on the event page below to where you can help by donating to the Robinson family. Thank you all for your help! 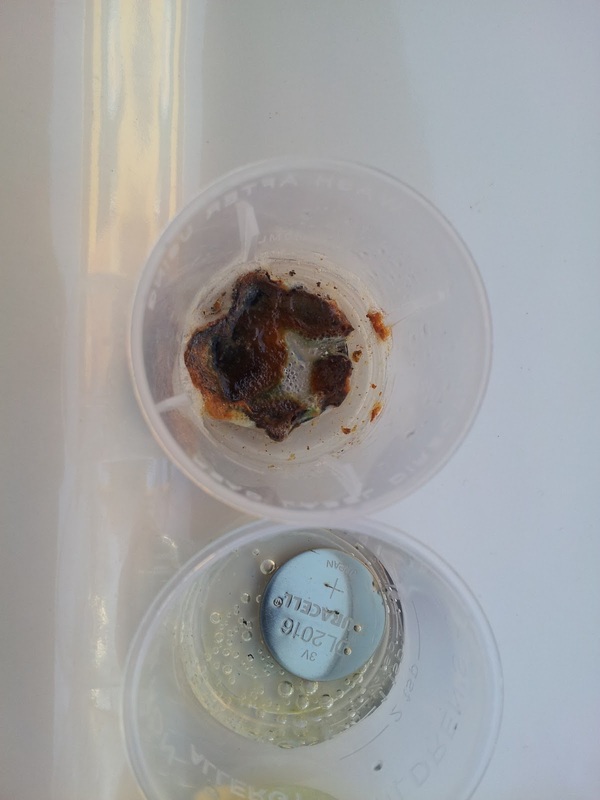 Safe Kids Day Event and the Button Battery Experiment! Safe Kids Day was a great success! 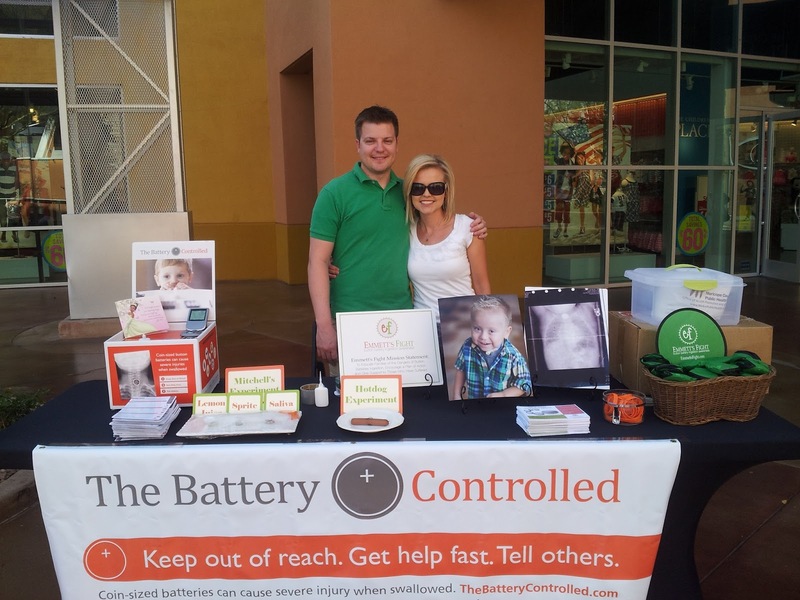 Michael and I were able to speak with many parent's about the risk and dangers of button batteries in the home. We also encouraged parent's to keep the tiny batteries out of little arms reach and brought attention to what items contain the button batteries..
Look closely at the bottom of the picture below... Michael and I presented two experiments, that many commented on, being a great visual to demonstrate what kind of reaction a button batteries will have on the body. 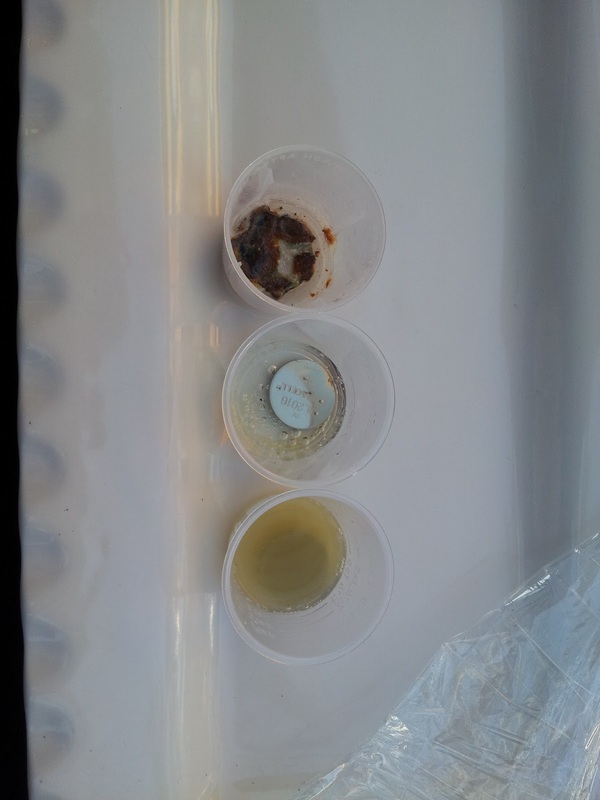 This is a video of a news clip showing in more detail the hot dog experiment. Within a half of an hour the Saliva started to cause a reaction with the button battery. The image below was taken 6 hours after I originally placed the button batteries into each cup. Warning: The image below is a bit gross! If this kind of reaction to saliva can be caused with in 6 hours, imagine what it can do inside of a small child. We believe Emmett's button battery was housed in his tiny body for about 3 days. Those who might be new to following Emmett's story, Michael and I did not see Emmett ingest the button battery. We noticed flu like symptoms and immediately took him into the doctor. He was missed diagnosed with a cold and we were sent home. Two more doctor visit's later, a chest x-ray was taken of Emmett and then the button battery was discovered lodged inside his esophagus. Button batteries are dangerous! Keep items that contain them, up and out of reach of children. A mother who stopped by our both, brought her older son over to show him the danger's if a button battery was to be left out. She sternly taught him of the importance of carefully putting the batteries away after using them in his electronic devices, this young man has a younger sister. I wanted to give this mom a hug! The awareness of button battery safety is not just for parent's alone but for siblings, cousins, friends, grandparents alike. Get the word out fast!!! Safe Kids Day is the 1st ever national injury prevention and awareness day. The #1 leading cause of death for children in the United States is from a preventable injury. Just like button battery ingestion, many of these injuries can be prevented by proper education and awareness. Emmett's Fight is excited to help fund raise for Safe Kids Day. Safe Kids Worldwide is a non for profit organization passionate about childhood safety. Safe Kids has shed tremendous light on the issue of Button Battery Ingestion and sharing Emmett's Story, bringing it not only to national but international attention. In order for the injury prevention advocacy movement to keep rolling, Emmett's Fight is asking for the help of those in the community. 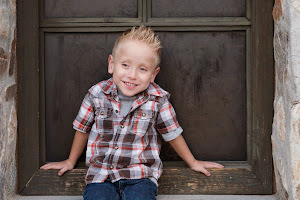 Click on over to the link below to view the Emmett's Fight fundraising page for Safe Kids Day! Please help us make a difference!!! Beautiful video! Tribute to all of our friends and family who love's someone with Austism! I came across this video and just had to share it. It is so beautiful and I think a great tribute to those individuals and families who fight their own battle with Autism. 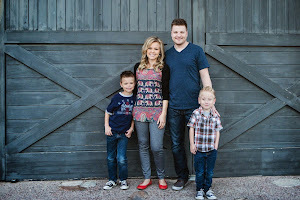 I love the perspective of this family. I have learned through our journey with Emmett, that each and everyone of us have our own mountains to climb. It is our decisions to make what kind of attitude we will have as we take our journey! Emmett and his rehabilitation at work! Go Emmett! I have to apologize to all the Emmett's Fight supporter's and reader's, April flew by like a blink of the eye. I can't believe it is May already. Life has been good, busy, but good. I am sure "busy" is a term most of us parent's can relate too. Emmett has wasted no time working hard to regain his strength, learning to eat and to achieve age appropriate developmental skills. 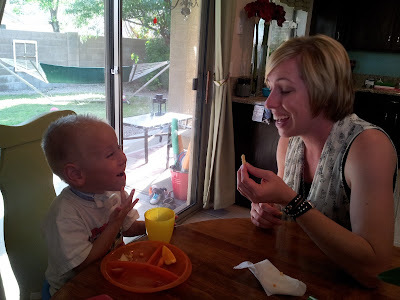 I am so impressed with this little boy and how many huge strides he has accomplished over the past few months. Emmett has a full schedule of therapies each week, he never complains and quite actually enjoys his one on one time with his therapists. This is Miss Kristen... She has been working with Mr Emmett for over two years. 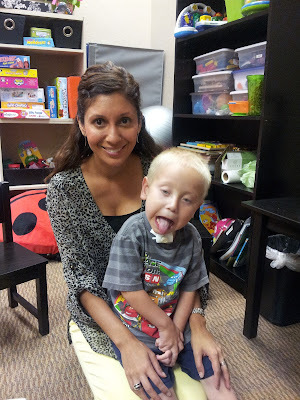 I had the most difficult time trying to find a Speech Therapist who was comfortable with working with Emmett and his condition right after the battery accident occurred Thanks to my wonderful friend Brenda, Kristen came into our lives and has seriously saved the day... many times... We are so blessed to have Kristen as one of Emmett's therapist. She truly loves him and has a great listening ear for Emmett's mommy too;) Thank you Kristen. This is Miss Monica and silly Emmett. Miss Monica has recently come on board for Emmett's care. She is also a Speech Pathologist who is a friend of Kristen's. 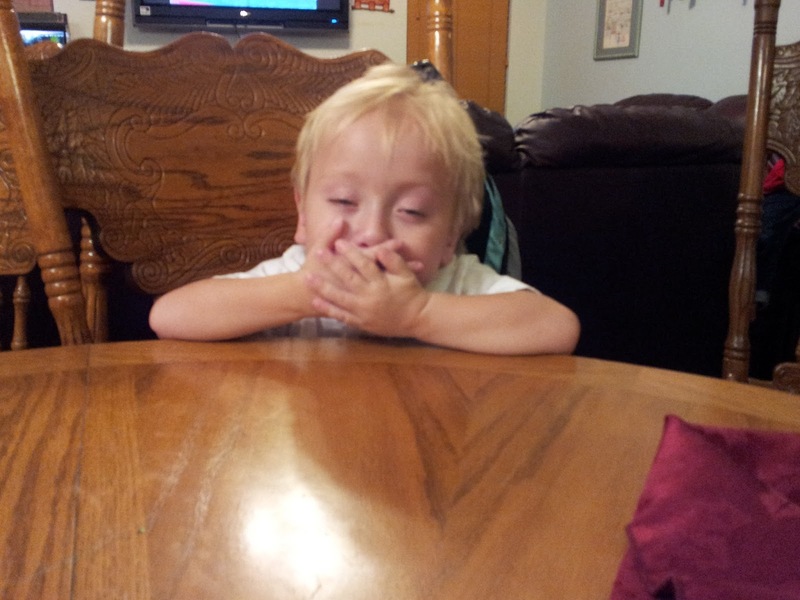 Emmett receives Swallow Therapy twice a week, one time from Kristen and the other from Monica. These two ladies have helped Emmett over come mountains in regards to his feeding skills. We have a long road ahead of us, but I am so grateful Emmett will have these two ladies by his side! Emmett spends time with Miss Kim, who is an Occupational Therapist, once a week. 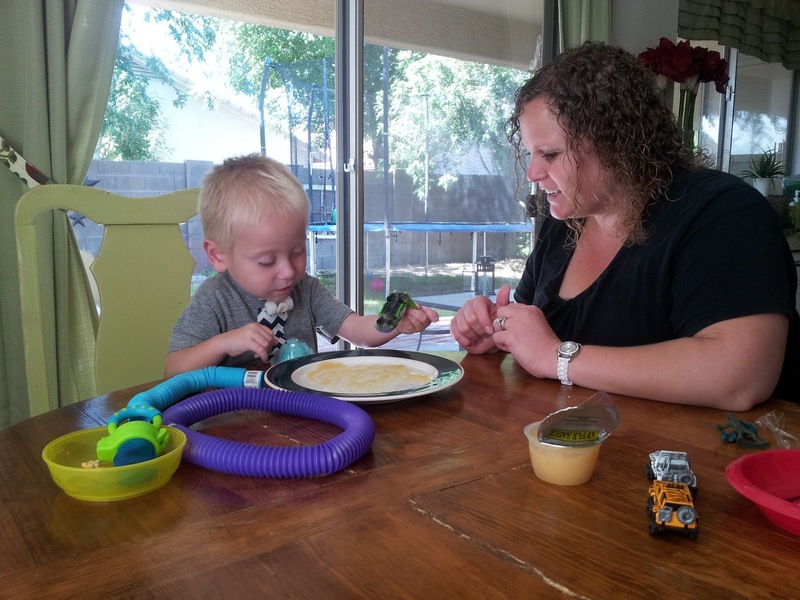 Emmett has many sensory issues, which is common among children who have had long term hospitalizations. Kim is so patient and kind as she helps Emmett over come and face many fears. I am so grateful for her. Emmett loves to play hide and go seek with Miss Kim. And then there is Miss Jen who is Emmett's Physical Therapist... sigh... I sure love this lady! She has been working with Emmett since he came home from the very first hospitalization post battery ingestion over 2 1/2 years ago. She has done so much for Emmett. She also has a great listening ear and has been a shoulder to cry on many a times. I wish I had video's to show what huge strides Emmett has over come since we met Miss Jen . 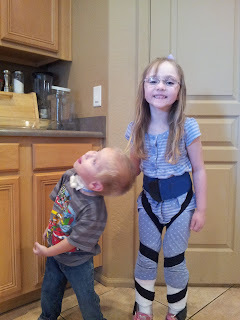 Emmett was so fragile after coming home from the hospital in 2010, he was unable to sit up on his own. 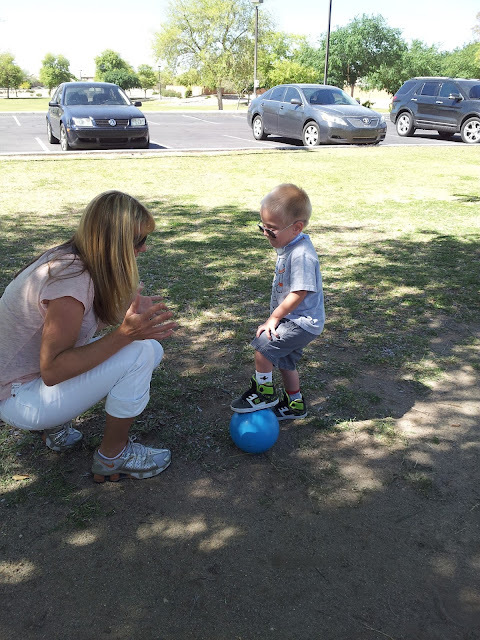 Today, Emmett can run, jump (two feet off the ground), climb, walk up stairs and so much more. It brings tears in my eyes remembering where we were and to see how far we have come. I am so grateful beyond words for these four incredible ladies. God is so good! December, 2012 Emmett underwent a life saving surgery. Emmett had his old esophagus complete removed and he receive an entirely new esophagus, created using a portion of his bowel. The incredible and miraculous surgery had taken place in Cincinnati, Ohio almost two thousand miles away from our home in Phoenix, Arizona. 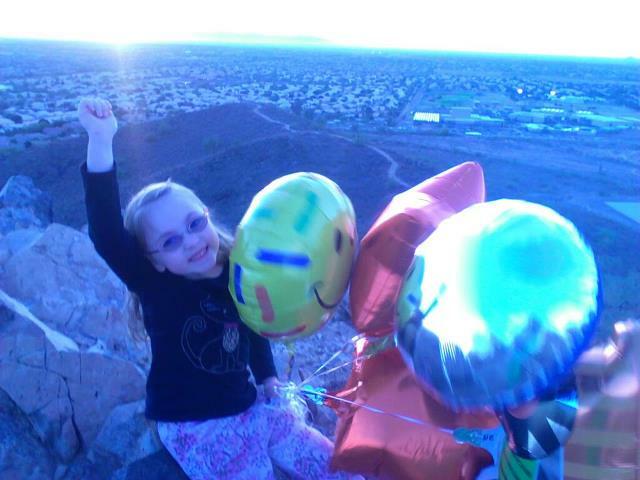 A dear friend Brayden hiked to the top of a mountain in Phoenix with her Mom and sent off a bouquet of balloons to Emmett in Cincinnati along with a "get well soon" message. For most, hiking to the top of a mountain is not a difficult task, but for this special young lady it was a monumental event. Emmett and Brayden had a play date this past Friday. The two sillies enjoyed watering flowers, building blocks, playing hide and go seek and giggling. We sure love Brayden! Thank you all for the many prayers and words of encouragement! We are so grateful that our Father in Heaven has blessed us with so many wonderful people in our lives.